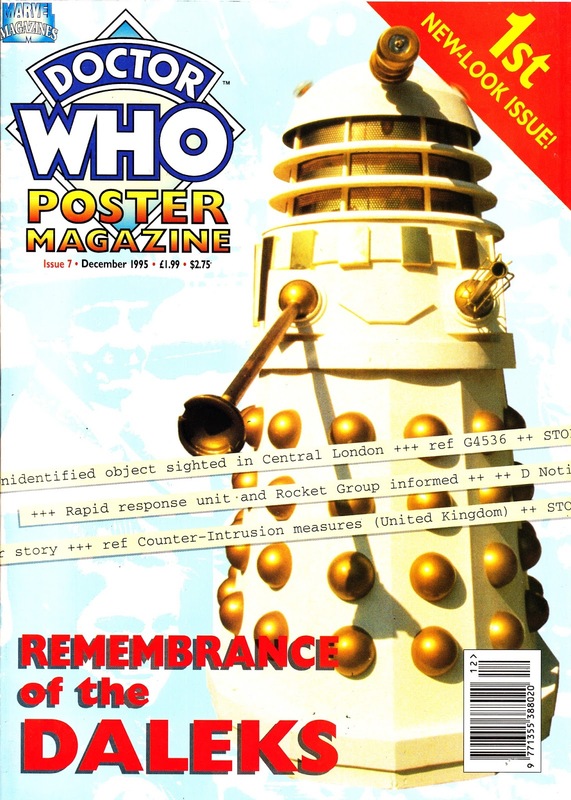 From December 1995: the penultimate issue of MARVEL UK's DOCTOR WHO POSTER MAGAZINE. This issue abandoned the original monster-of-the-month format in favour of a new formula that shone the spotlight on one particular story. The Pryramids of Mars followed in the 8th and final issue... but that one is missing from the collection I purchased a while ago. The change was probably prompted by soft sales in the context of internal changes within the British Bullpen prompted by the financial crisis at the parent company and restructuring within the expanded European operation. Maybe Marvel might have had more joy if they had devoted issues to members of the supporting cast (in particular the more attractive ones) rather than the diminishing number of memorable rubber monsters. It's unlikely that the sales figures for the reboot would have come in before the title was canned.